Validation is part of the Lifelong Learning Strategy of the Hungarian Government. Certain validation techniques are applied in the adult education sector and in HE, which are applicable only to HE students and participants of adult training programmes at time of their entrance. Recognition of prior learning has a very small-scale practice due to contradictory interest of different stakeholders and the lack of a unified measurement and assessment process. Stakeholders from the labour market have been removed from the validation development process. In the practice of adult training prior learning assessment has been incorporated only as an administrative step but not been institutionalised. Hungary does not have a national level validation system but just sectoral validation development projects. The Hungarian Qualifications Framework is partly operational and there are no rules set out in connection with validation, although there are initiatives to include qualifications from non-formal training programmes in the HQF. In Higher Education there have been development projects on validation designed to formulate recommendations for HEIs. In Higher Education the legislators linked the recognition of informal learning to the already operating European Credit Transfer and Accumulation System (ECTS). Today Credit Transfer Committees are established to recognise prior learning outcomes and work experience including non-formal and informal prior learning as well. At least one-third of the credits are required for the students to be earned in the institution issuing the diploma to obtain their diploma. Teachers in HE have great autonomy to accept or refuse prior learning. It is also possible to award credit for a programme unit officially approved by a formal credit awarding body in the institution. HE actors identify many barriers that make decision making mechanism difficult such as quality assurance, time consuming and expenditures. According to the current Higher Education Act of Hungary it is not possible to acquire a complete qualification through a validation procedure. It is inevitable to introduce validation in the labour market of Hungary as it is urged by the European Committee and CEDEFOP, as well. Although inclusion of prior learning into the education process seems more plausible, there might be greater potential and effect in validation of prior learning by its employment increasing function. Validation in the labour market enhances entrances into and permanence within the labour market. 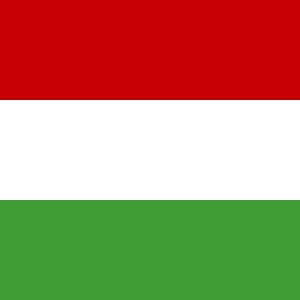 However, there is no information on any validation related initiatives which have been developed by Hungarian enterprises. At the same time, employers declare that they take into consideration the outcomes of informal learning of candidates during the recruitment process. So validation exists in the labour market but not in a formalised procedure. The main civil organisations are open to validation and are well-informed on the issue. They provide methodological guidelines on their websites, but these are not included into any formal validation process. Tempus Public Foundation, an NGO coordinator of the Stipendium Hungaricum Programme that enhances foreign students to enter HEIs in Hungary, is not involved into the assessment of prior learning process. The Strategic framework for the policy of lifelong learning for 2014-2020 (adopted in 2014) is engaged in establishing a national validation system for 2018 but concrete programmes have not yet been launched, so the financial background of validation has not been developed. As there is no national level system for validation yet in Hungary, a national framework for funding validation activities is also to come. The costs of prior learning outcomes assessment in adult training sector are borne by retraining providers (the cost is absorbed in the programme fee) as they consider prior learning assessment as part of the training. The costs of credit transfer in HE are borne by HEIs.